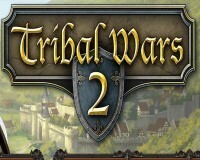 Unlike its browser-based predecessor, which added crossplay via iOS and Android-Apps later, Tribal Wars 2 was planned to take full advantage of cross-platform possibilities. Therefore the game had to be streamlined on browser, tablets and smartphones in terms of technical basis and gameplay. “Our goal was to make all parts of gameplay feel and interact with the players the best way possible – on all platforms. At the same time, the performance had to meet our standards,” says Marc Kamps, Producer of Tribal Wars 2. “We experimented with multiplatform-solutions like HTML 5, but in the end, going native allowed us to take full advantage of the mobile devices’ processing power and touchscreen displays.” Kamps adds. Players can already pre-register for the game’s beta on www.tribalwars2.com. Tribal Wars 2 sports state-of-the-art graphics and will later be released as cross-platform for Android, iOS and all browsers. Therefore, players can set up one account for all platforms and play from whichever combination of devices they choose. In the recently released announcement Video, members of the team and InnoGames co-founder Hendrik Klindworth, are describing their visions for the game and upcoming features. In Tribal Wars 2, players find themselves as leader of a small village in the midst of a medieval world. Tasked with growing and expanding their empire within a war-torn landscape, they have to fight in order to survive. The MMO’s focus is real-time strategic battles with and against other players. Tribal Wars 2 will be released as cross-platform game for Android, iOS and all browsers. Therefore, players can set up one account for all platforms and play from whichever combination of devices they choose. Related Tags: Tribal Wars 2.